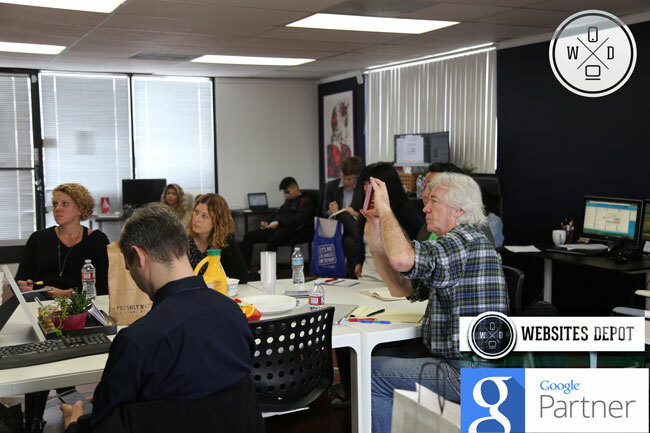 Silver Lake web agency Websites Depot will be hosting the next Google Partners Connect livestream event on Wednesday, April 19. This educational livestream will focus on online auto sales in particular. Although there are a limited number of spots, the event is free and open to those who RSVP. Google’s Head of Industry of Automotive Retail Sales, Peter Leto will speak live to all partner agencies and their guests about how to fine-tune online ad strategies and improve sales in the auto industry. Leto, who is based in Detroit, has worked with auto dealers and manufacturers across the U.S. in forming sales strategies in the digital realm. The April 19 event is part of a series of industry-specific events that badge Google Partner Websites Depot will be hosting in the coming months. The May event will tailor to the home services industry, June will focus on classifieds advertising and local presence, and July’s event will be geared towards YouTubers and other video-centric marketers. Future events in later months will cover retail, business-to-business and health care. While Leto will share insights into his industry, Fred Vallaeys will share his broader, general insight into Google AdWords, performance measurements and online engagement with customers. Vallaeys, who has spoken at past Partners Connect events, was among the first 400 employees at Google, and was involved in the development of conversion tracking solutions like Google Analytics. According to the Google Partners team, those who RSVP to the event by April 4 will be treated to free Google-branded swag direct from the company. Google badge partner agencies like Websites Depot are certified managers of mobile and AdWords campaigns for clients through extensive training in Google’s best practices. Websites Depot is located at 4343 Sunset Boulevard in Los Angeles. The livestream begins at 9am PDT, and refreshments will be provided courtesy of the company. Attendees should consider morning traffic when planning their commute. This Press Release was published via PR Newswire on Mar 30, 2017.